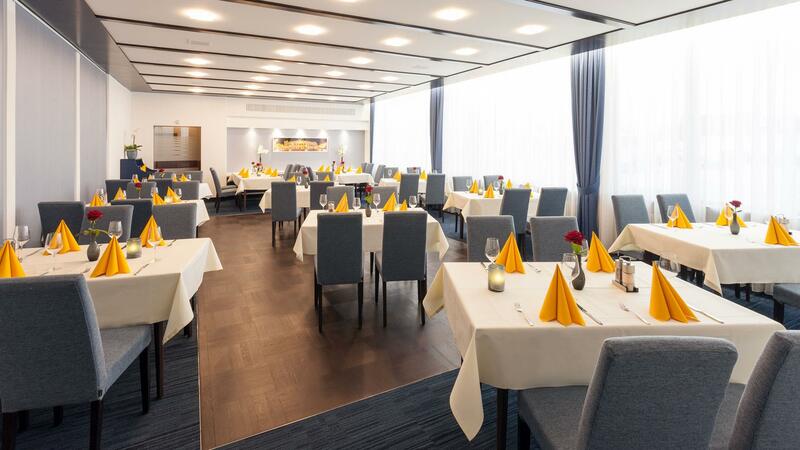 Interior architecture that reflects Augsburg’s metropolitan flair: minimalist, urbane, highly modern. 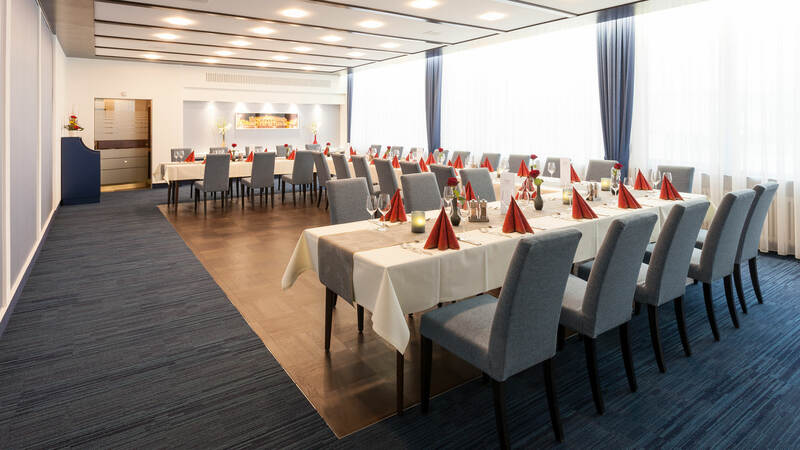 It is with this concept in mind that the “Blaue Salon” in the 4-star Best Hotel Zeller was designed and appeals to our guests with its clear elegance and easy-going atmosphere. 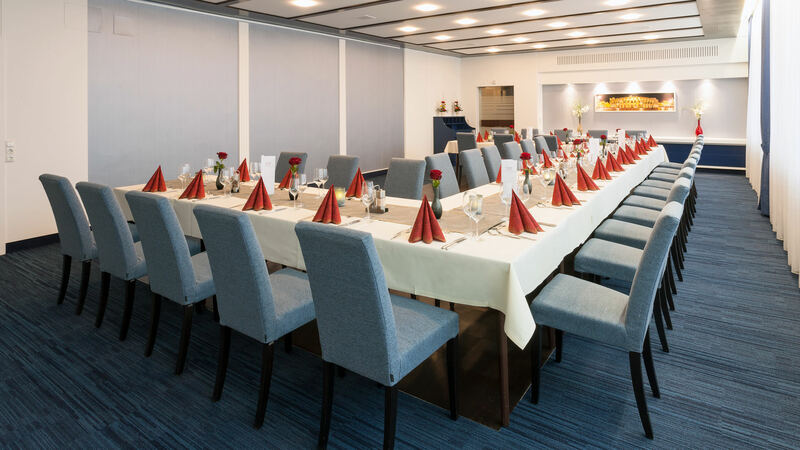 You have come to the right place if you are looking for a bright, stylish venue for your event: when you choose this innovative event location, you know you have booked the perfect venue. Book our "Blaue Salon" today for an exclusive family party, wedding or company event and cross “location” off of your to-do list! First-class cuisine, mood-setting background music and incredible service. We make sure your company dinner, family celebration or wedding is flawless and smooth, down to the last detail. Let special requests, extravagance or unexpected challenges be our concern! 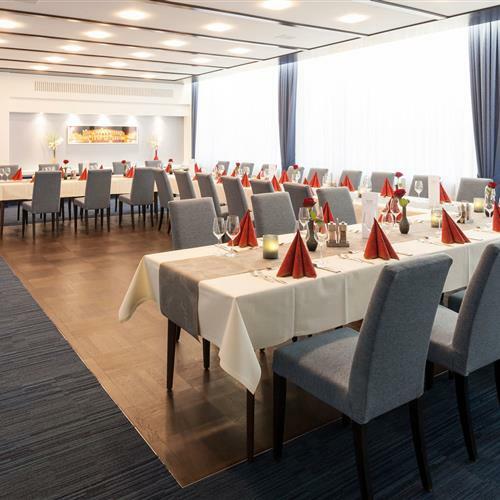 Your only job is to have fun and enjoy the event of your dreams in our "Blaue Salon" to the fullest. 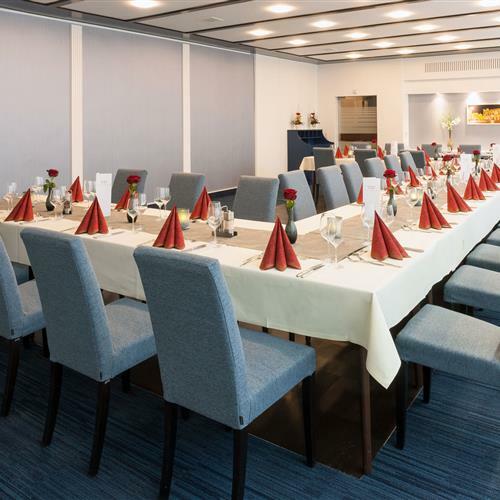 The spacious "Blaue Salon" can accommodate up to 50 guests. Feast and celebrate; dance, laugh and enjoy life! As the early morning sun slowly bathes the Königsbrunn forests in warm light, the last guests have started on their short journey back to Ulm, Munich or Nuremberg, and you settle into the soft bed of your suite, the memories of your night in our "Blaue Salon" will remain in your memory for a long time to come.